Time flies! 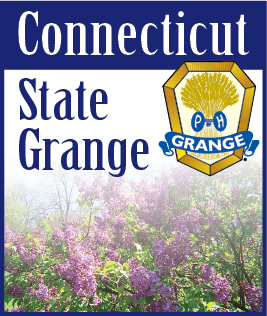 It seems like we were just attending CT State session and the Dinosaur State Park with Connecticut Junior Grangers! And now we are starting to think about what we are going to accomplish in 2015! By the time you are reading this, I am pretty sure that most New Year’s resolutions have been broken – but any goals we have set for ourselves are still going strong. One of my goals this year is to get the word out about 1+ Junior Grange Program that the National Junior Grange Director is promoting. What does this mean to our subordinate Granges? How can we welcome Juniors into our Granges so that they are not intimidated by what they experience – but that they are inspired to be part of the Grange family! I look forward to the coming year and working with the new State Officers on what it means to be a1+ Junior Member of the subordinate granges. Thanks to all that participated – it was great to see all the entries on the tables at State Session – I hope more participate next year!